After a four- and -a- half- hour massive electricity blackout on Sunday, January 20 authorities while stating that the exact cause of the shutdown was not known it had nothing to do with excessive demand related to World Youth D(ay WYD) and by late afternoon the electrical system had recovered by 70%. According to Ferrari, the incident was reported at 11:42 am on the line connecting La Chorrera and Panama, "due to an imbalance between the demand and the network load.” But until now the exact cause of the blackout is unknown. "The original fault is going to take a little time to define," said Ferrari but added that "this has nothing to do with the events of the World Youth Day or with an additional demand" of the system. He highlighted the fact that all security and emergency protocols were activated to address the situation. 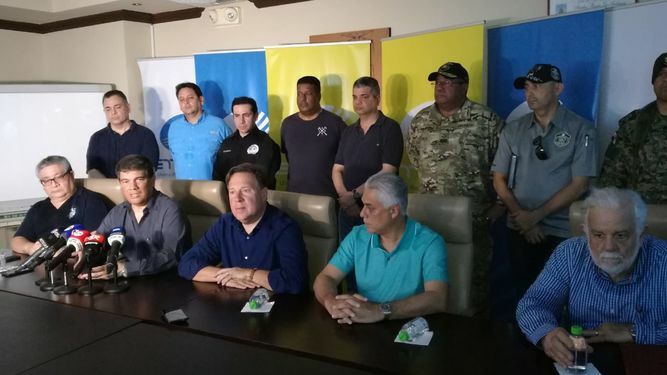 President Varela stressed that, in this situation, " the full National Security Council, the authorities of the Social Security Fund and all high-level officials of the energy system had acted. "We are confident that we will recover the system soon," the president added. The National Water Authority (IDAAN)said that after the restoration of the electrical system in the majority of the country, the production of potable water also resumed in the Chame, Chepo and La Chorrera plants. During the blackout shops and restaurants were forced to close, water pressure was reduced and the Metro Subway system was shut down helping to explain the virtual absence of WYD pilgrims on the streets of Panama City, but testing of sound systems on the four-level stage towers on the Cinta Costera continued throughout the afternoon. The National Water Authority (IDAAN) said that after the restoration of power in the majority of the country, the production of potable water also resumed in the Chame, Chepo and La Chorrera plants. Sunday was the day scheduled for thousands of pilgrims to arrive by air at Tocumen International, Panama Pacifico, and Albrook airports.